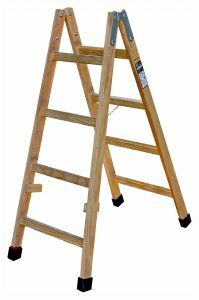 A federal appeals court has affirmed an $11 million ladder injury verdict awarded to a suburban man who suffered severe brain damage when the ladder on which he was standing collapsed. The jury found in favor of plaintiff’s claim that the ladder on which he was standing while replacing gutter screws was defectively designed – as it was unable to withstand more than 200 pounds of weight – and thus caused him to fall. As a result, he sustained a traumatic brain injury. The damage award included $7.1 million for medical expenses, plus $2 million each for pain and suffering and loss of a normal life. Defendant manufacturer argued it should receive a new trial because the district judge wrongly allowed two of plaintiff’s expert witnesses to testify, despite questionable scientific methodology, and that plaintiff failed to prove the ladder was unreasonably dangerous. The appellate court found defendant’s argument was predicated mostly on the weight of the experts’ arguments, which is within the discretion of the jury to consider, rather than its admissibility. Further, the court held plaintiff had presented sufficient evidence to prove the design was defective and a reasonable alternative existed. Even though defense had presented evidence to the contrary, it was up to the jury to consider how much weigh to give that evidence. In Baugh v. Cuprum, the U.S. Court of Appeals for the Seventh Circuit, ruled the lower court did not commit any errors. According to court records, this was a five-foot, A-frame ladder made of aluminum. Plaintiff was taking out and replacing a handful of rusty nails on the gutter of his garage when he fell off the ladder. When his head hit the ground, he suffered substantial bleeding to the front area of his brain, which resulted not only in quadriplegia, but also dementia, ongoing seizures and an inability to urinate without a catheter. He also cannot recognize shapes or answer basic questions after reading a one-paragraph excerpt. The trial was a complex process that involved numerous expert witnesses on both sides, with the jury ultimately siding with the plaintiff. The appellate court’s affirmation of that finding leaves the Mexican based manufacturer with little further recourse. As this case shows, ladder injuries can be quite serious, and they occur all the time. In general, falls are the No. 1 cause of unintentional injury death nationally. The Centers for Disease Control and Prevention reports that 43 percent of those fatal falls have involved a ladder, as have 20 percent of falls that resulted in personal injury among workers. In cases where individuals are injured at work, our injury lawyers would typically first start with exploring whether workers’ compensation benefits are available and appropriate. This will not impede a worker’s right to collect damages from a third-party, such as a manufacturer. In situations where the victim was not at work, there might be relevant claims against the manufacturer/ supplier and possibly the owner of the property (premises liability).